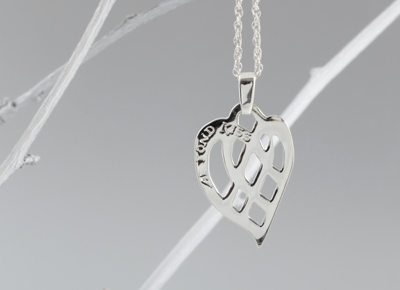 Ae Fond Kiss silver pendant by local Ayrshire jewellery designer, Sheila Kerr. This is a beautiful piece and would make a wonderful gift for any Burns' fan. Size: 3cm length, 2cm width. Delivery lead time 4-6 weeks.